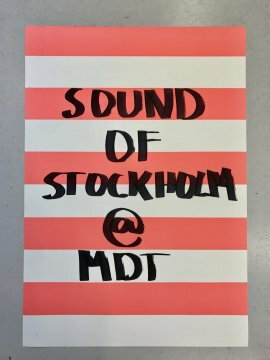 Sound of Stockholm is a festival for contemporary music and performing arts, programmed by a constellation of independent member societies of different specialisations — from experimental and electronic music to free improvisation. Stine Janvin & Ula Sickle – “Tunings” (performance/workshop). Jacob Kirkegaard – “Unheard Sounds” (talk). Stine Janvin & Ula Sickle – “Tunings” (performance/workshop): 16:00 & 20:00. 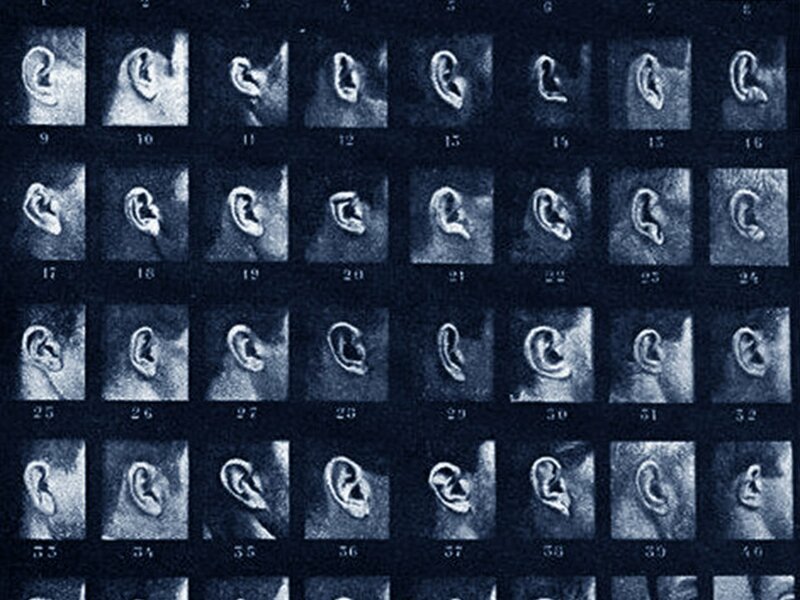 Jacob Kirkegaard – “Unheard Sounds” (talk): 18:00. Ticket sales at MDT from one hour prior to the performance. Ticket pre-sales via Sound of Stockholm. MDT Kompiskort and Sound of Stockholm Festival Pass are valid. Collecting the desires of Sound of Stockholm’s seven member societies, we have taken a closer look at how dissonance acts in contemporary music and arts. The 2017 edition emphasizes the fact that sound is produced and performed by multiple artistic practices. Composing for instruments as well as vocal sounds, movement and imagery, the performing artists bring us a broad set of experiences, all providing different inputs on what collectivity in sound might be. Sound of Stockholm is a festival for contemporary music and performing arts, programmed by a constellation of independent member societies of different specialisations — from experimental and electronic music to free improvisation. Current member societies are Frim, Fylkingen, Samtida Musik, Studio 53, Kulturföreningen Sekt, Konstmusiksystrar, Sthlm Drone Society. Electronic feeds and streams of information run through our bodies on a daily basis. How do we adapt to this constant noise and the demands of our online presence? Choreographer Ula Sickle and vocalist Stine Janvin examine how we tend to use these very same technological means to access old philosophies, mindfulness and relaxation with the help of yoga and meditation apps or white noise on youtube. Inviting the audience to breathe, sing and listen together, Tunings is a participatory performance workshop where the participants tune into each other and the surrounding space. Lead by four guides, we are guided through an open form score made up of simple instructions focusing on the individual experience of each participant and the collective presence of the group. The score requires no former experience and anyone can participate. The workshop will be in English. With their series of tuning scores, the artists open their ongoing research process to an audience. 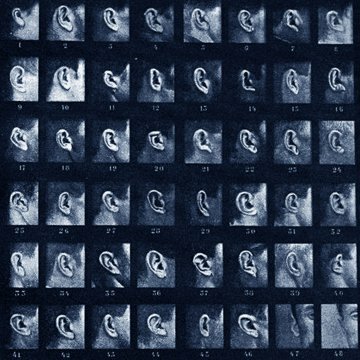 Inspired by Pauline Oliveros’ Sonic Meditations, composers from the Wandelweiser Group, ASMR techniques (autonomous sensory meridian response) and other somatic practices, the research focuses on the voice as an instrument, exploring its acoustic potential and confronting it with environmental noise. Borrowing from vocal traditions belonging to a pre-digital era, they invite us to participate in a composition for silence, voice and surroundings. As strategies for harmonizing with contemporary environments, Sickle and Janvin’s research stems from their previous collaboration: Prelude (2014) – a stage performance created for the Kaaitheater in Brussels. Focusing on the current ecological crisis, the performance investigated how humans have altered their natural landscapes and how they must learn to survive in new, difficult to navigate environments. The duo build on previous works such as The Subjective Frequency Transducer, developed by Stine Janvin and the performance Extreme Tension by Ula Sickle. With a specific interest in alternatives to the canon of contemporary dance, Brussel based choreographer and performer Ula Sickle (Po/Ca) investigates in other ways to embody movement histories. The collaboration with vocalist Stine Janvin Motland (Prelude (2014) is one example. Here, the physical approach stems from Sickle’s interest in Body-Mind Centering practices, combined with visualization techniques and movement tasks that connect the body to other bodies and to the surrounding space. Ula Sickle has a background in contemporary dance and was educated at the University of Toronto, Paris VIII and P.A.R.T.S. Works across disciplines and in collaboration with artists from other domains such as the visual arts, contemporary music or architecture. While her work takes many forms, from film to installation to live performance, she focuses on a choreographic approach to movement and a work on perception and reception, specific to the live arts. Supported by the Canada Council for the Arts and the Flemish Community. Alongside her own work, Janvin is a performer of contemporary music, and contributes as a composer and performer in a number of interdisciplinary projects, such as the performance Prelude (Janvin Motland/Sickle/Leguay). Her interest in the ambiguous and unrecognizable qualities of the voice pushes her to constantly search for new ways to expand her vocal repertoire. Her recent work significantly involves imitation and abstract storytelling through sound collages inspired by a variety of genres and traditions of electronic music, sound poetry, folk music and languages of various peoples, birds and animals. Recent presentation of works include Berlin Atonal, Météo Festival, Mulhouse; NMASS, Austin TX; Rokolectiv, Bucharest, CTM festival, Berlin, Issue Project Room, NYC. What does singing sand sound? Can one listen to a country? What sounds can be found in the abandoned, radioactive buildings in Chernobyl? These are just some of the questions Kirkegaard explores in his artistic practice. On the first day of the Sound of Stockholm journey, Kirkegaard lectures on the methods used when discovering sound with the use of unusual archaeological methods and special recording equipment. Thus, he reveals natural and anthropogenic sounds which humans wouldn’t otherwise have the opportunity to hear. Danish artist and composer Jacob Kirkegaard works in carefully selected environments to generate recordings that are used in compositions, or combined with video imagery in visual, spatial installations. His works reveal unheard sonic phenomena and present listening as a means of experiencing the world. Kirkegaard has recorded sonic environments as different as subterranean geyser vibrations, empty rooms in Chernobyl, Arctic calving glaciers and tones generated by the human inner ear itself. Jacob Kirkegaard has presented his works at galleries, museums and concert spaces throughout the world, including MoMA in New York, LOUISIANA – Museum of Modern Art and ARoS in Denmark, KW in Berlin, The Menil Collection & at the Rothko Chapel in Houston, Aichi Triennale in Nagoya, the Mori Art Museum in Tokyo, Japan. Kirkegaard has gallery representation through Galleri Tom Christoffersen. His sound works are released on the TOUCH (UK), Important Records (USA), mAtter (JAP), VON Archives (FR), Holotype Editions (GR) & Posh Isolation (DK) labels. Kirkegaard’s work is represented in the permanent collection of LOUISIANA – Museum of Modern Art in Denmark and he is a founding member of the sound art collective freq_out.In 2016 Jacob Kirkegaard was the sound-artist-in-residency at St. John’s College, University of Oxford, U.K. Extra: On november 8, Kirkegaard performs Eustachia for Voices – a vocal work composed from tones generated in the inner ear. Location: Tyska Kyrkan. 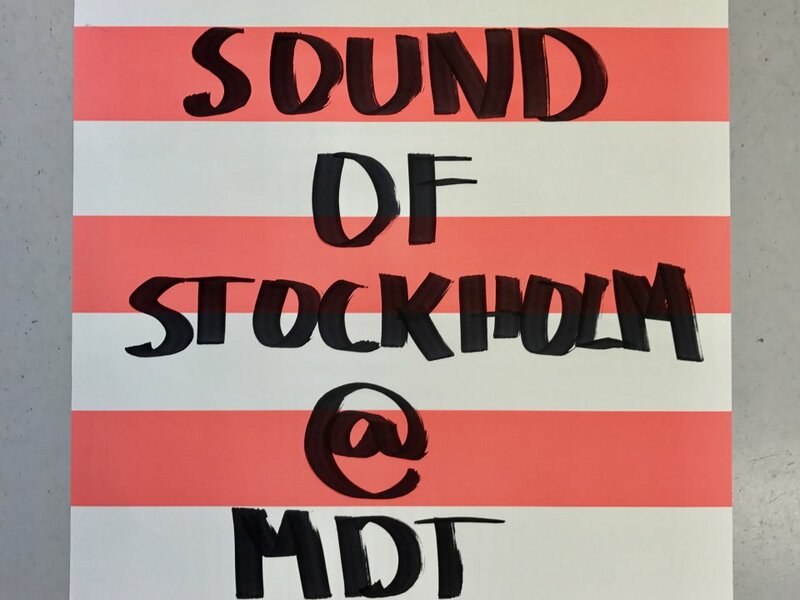 Sound of Stockholm is supported by Statens kulturråd, Nordisk kulturfond, Musikverket, RANK, MDT, Elektronmusikstudion (EMS), Creative Europe Program of the European Union. Tunings is created by Ula Sickle & Stine Janvin. Supported by Flemish Comunity, Norsk Kulturråd, Nordisk Kulturfond, Musikverket, Stockholms stad, Creative Europe Program of the European Union, Statens Kulturråd.